Africa Media Development Foundation (AMDF) congratulates the Nigerian Media on its Maiden celebration of the Nigeria Media Peace Day to be observed every 14th February. 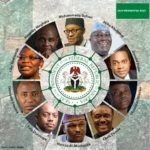 Coming at the heels of the 2019 general elections, the theme of the event: “Nigeria Media Peace Day: Think Election, Think Peace” no doubt reflects the Media’s determination to uphold its responsibility of ensuring peace and stability of the nation. These are the positions of the AMDF in a statement issued by its Coordinator, Sekyen Dadik to identify and celebrate with the Nigerian Media on the laudable Initiative. 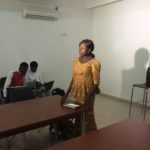 “As a media development organization that provides support to journalists and African media, AMDF believes there is no better time for the Nigerian media to declare its stance for peace other than now as we go to the polls and following unguided statements from public officials and politicians; an action which invariably sets the tone for a violent election. “We strongly believe that the media as the watch dog of the society is still the portend tool for shaping mind-sets, changing public perception and opinion and our influence spans far over that of any politician whose intention is to disrupt the peace of the nation. 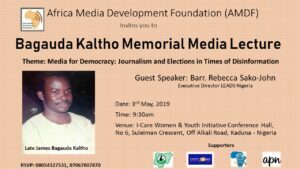 “AMDF therefore calls on the Nigerian media to be guarded by its commitment on the Nigeria Media Peace Day to think election and think peace, let this be reflected in the contents to be disseminated in the media throughout the period of election and beyond. “Nigeria has had so many devastating incidences of violence with the media having its share of blame; it is time we redeem our image as society’s gatekeepers by consciously and vigorously contributing to peace building processes, a necessary tool for the development of any nation. 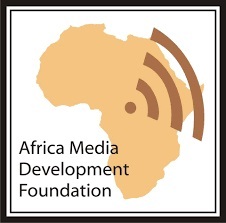 “AMDF also acknowledges the support of Search for Common Ground for driving the process and providing the platform for such a remarkable move to ensure the Nigerian Media takes its place in setting the agenda for peace. “AMDF undoubtedly remains committed to providing professional support to Nigerian media towards promoting excellence and freedom of the press. “Hearty Congratulations to the Nigerian Media!!! 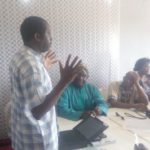 “Africa Media Development Foundation is a non-governmental, non-political and non-profit media development organisation that supports Journalists, Media Organisations, CSOs and promote freedom of the press”, the statement reemphasized.